This lesson plan, shared by Taylor Covington of The Zebra, introduces students to a broad overview of insurance. 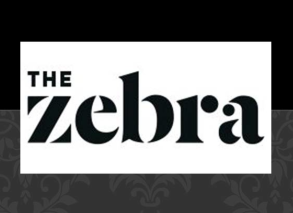 The concept of this website is to make understanding insurance as ‘black and white‘ as possible, hence the name ‘zebra‘. At the end of the lesson, students will be familiar with basic insurance terms and concepts. This curriculum will provide supplemental information for a unit on Personal Finance. The lesson can be covered in two 50-minute class periods, and hopefully, is as easy for the teacher to follow as it is for the kids to learn! Next, begin the actual teaching process. Show the What You Should Know about Insurance PowerPoint presentation to teach students the basics of insurance. Last, give a writing homework assignment. There are two suggested assignments. The teacher can make the final decision on which, or both, to assign. Referencing the PowerPoints, have the students design a budget in Excel for their ideal life. Paying for the item itself is one thing, but insurance can add extra thousands each month. Encourage the students to use the websites listed in the What Insurance Will I Need? worksheet to find the best coverage. Let them play with a high deductible but low monthly payments and vice versa. How much money would they have to make to insure everyone in their home and themselves. As a follow up, have them write a short essay on their experience. Referencing the How Much Does Insurance Cost activity sheet, have the students write a brief (1-2 pages) essay on what they imagine their future will look like. This is the My Goals in Life paper which is referenced from the materials page, so be aware there is no handout for this particular assignment. The paper should focus on one or two simple goals, and the student should say how insurance relates to, or is affected by, that goal. For example, if the student wants to own a motorcycle one day, he or she should emphasize the need for motorcycle insurance and why it is important to have it. All materials can be found at The Zebra website. ← The Basics of Soup!